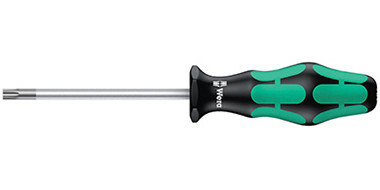 Wera is one of the world's leading makers of screw drivers, and other assembly tools for screws and nuts. Because of their unique properties, Wera screwdrivers are the number one choice of professionals. Wera tools are designed and manufactured in Wuppertal/Germany. 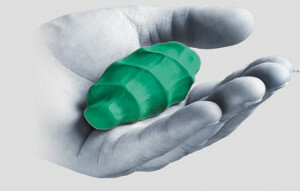 WERA Kraftform: the shape that has been built by the hand! The whole hand is in contact with the handle. The smooth hard zones move through the hand like wheels when repositioning the hand on the handle. The easy-to-grip soft zones provide optimal contact zones for the muscles of the hand to transfer a high amount of torque. 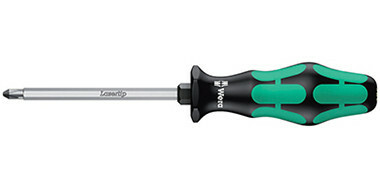 WERA Lasertip: greater safety through laser technology prevents expensive slipping. 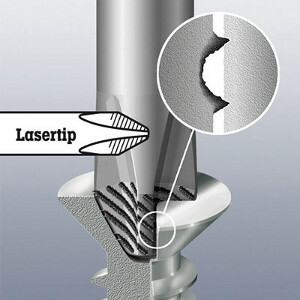 The micro-rough surface "bites" into the screw head and ensures that the screwdriver is held securely in the screw. Reduction of cam-out effect. Reduction of required contact pressure. 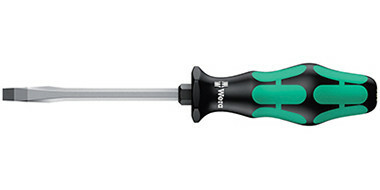 WERA Hex-Plus: extends the service life of hexagon socket screws. Prevents wear inside hexagon socket screws. 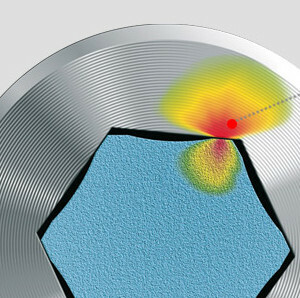 Hex-Plus provides larger contact zones in the screw head thus reducing the notching effect to a minimum and protecting the profile. Hex-Plus: prevents wear inside hexagon socket screws.